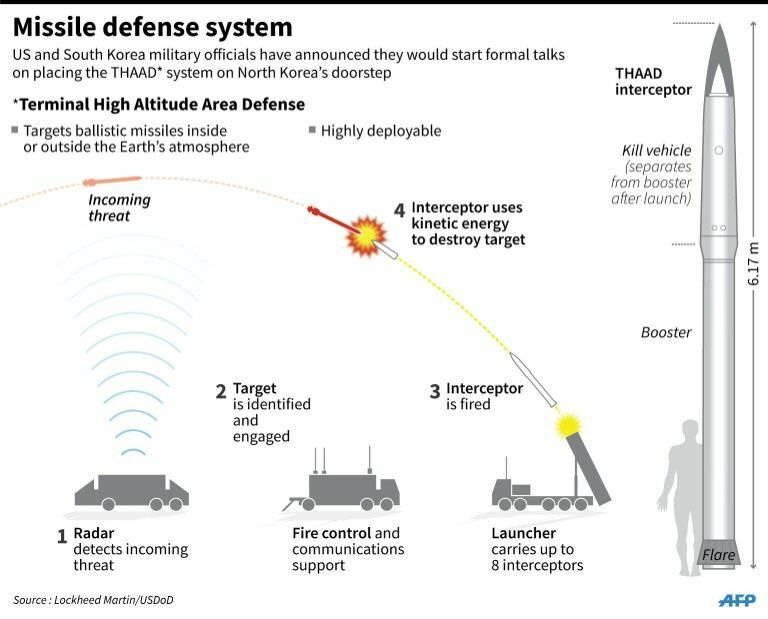 The Terminal High Altitude Area Defense (THAAD) is a land-based element capable of shooting down a ballistic missile both inside and just outside the atmosphere. (by Agence France-Presse news) — Moscow on Wednesday warned that Washington’s deployment of a US missile defense system to South Korea could spark an arms race in the region. “The appearance of elements of the US global missile defense system in the region — which is characterized by a very difficult security situation — can provoke an arms race in Northeast Asia and complicate the resolution of the nuclear problem on the Korean peninsula,” said the Russian foreign ministry. The foreign ministry reiterated that Pyongyang’s nuclear and missile tests “could not but inspire strong condemnation” but accused Washington of using them to expand its missile defense system. The US insists that the defense system is a deterrent necessitated by the North’s advancing ballistic missile program. [While China firmly opposes the deployment of such anti-missile hardware so close to its borders, the move to place THAAD in South Korea underscores Washington’s frustrations with Beijing’s failure to take a tougher line with Pyongyang over its nuclear weapons program. Copyright 2016 Agence France-Press at YahooNews. Reprinted here for educational purposes only. May not be reproduced on other websites without permission from the AFP. 2. a) Why are US and South Korean defense officials beginning formal talks on the deployment of a THAAD system to South Korea? 3. What is an arms race? 4. What accusation did Russia make after the U.S./South Korean announcement? 5. How did the U.S. respond to this accusation? 6. 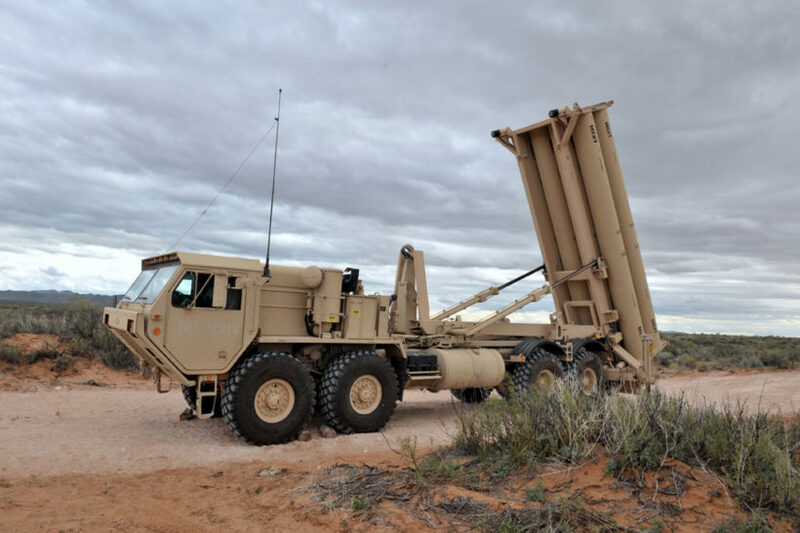 Why does the Chinese government say they are opposed to US deploying a THAAD to South Korea? How does the reporter refer to the North Korean government?